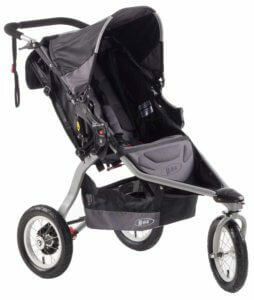 This BOB Revolution CE Stroller is a very easy to handle stroller in the market, it is good for long park or city walk. This is not an all terrain stroller or a jogging stroller but it is very easy to push or navigate. This is design for infants to toddlers & can hold child up to 70lbs. It rolls on three 12″ air-filled tires and lightweight alloy wheels. You do need to add some air once in a while to keep the tries filled. Front wheel is swivel but can be locked straight for rough terrain. It has adjustable suspension system which helps to make the ride smooth. According to me this is very important safety feature. You can easily push this stroller with one finger. The canopy is very large & adjustable with five position which gives full coverage to your baby. There is one large pee-ka-boo window on the top of the canopy through which you can see your baby like what he is doing, sleeping or crying anything. The seat is nicely padded & comfortable; the seat reclines to almost flat position. You can use car seat adaptor, so you can take your baby for travelling. For winter season there is one more option that is fleece seat liner it’s called BOB Warm Fuzzy. Keep your baby warm during cold winter months. For extra protection you can use sun shield, this elastic shield will protect your child from sun, wind and flying insects. “BOB Revolution CE Stroller” has five point harness system which holds your baby tight & safe. 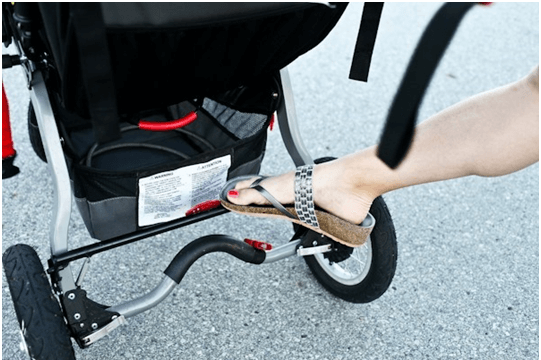 One of the security features of this stroller is a wrist strap that is attached to the padded handlebar. When you lost your grip then this strap helps you to drag & control the stroller. Foot brake is located between the rear wheels, it can be pushed by one foot only but it is not that much friendly to use. 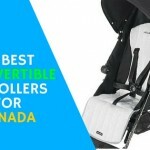 One feature I don’t like in this “BOB Revolution CE Stroller Review” is non adjustable handle bar unlike other strollers. For shorter & taller parents it becomes a tough job to manage. 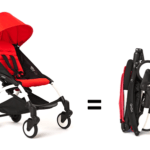 “BOB Revolution CE Stroller” has two step fold but you need to use two hands to fold it. There is no standing fold & automatic lock unlike other stroller which is another drawback. You will have to lock it manually by using a clip attached to the wrist strap. The fold is not so bulky, you can keep it at any corner of your home & with the use of travelling bag you can take it for a drive. The basket is large and easy to access; you can easily put large diaper bags into it. There is a storage pocket on the back of the seat that you can put all your small stuff like mobile phone, keys, handkerchief, wallets etc. There are no cup holders or child tray to store drink & snacks which I wish I would have added. The seat is made out of durable water resistant material that is easy to clean. When cleaning the fabric, it is not recommended to use the detergent & you can’t wash it in machine. 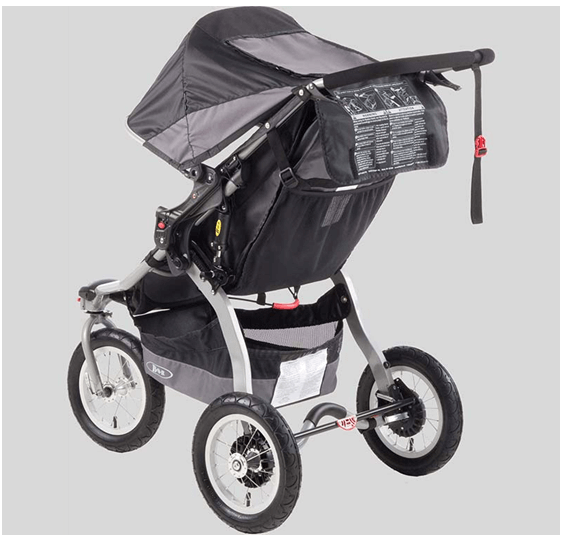 “BOB Revolution CE Stroller” comes in two colors: black and plum. “BOB Revolution CE Stroller” has a 5 year limited warranty on the frame and 1 year on small parts and fabric. 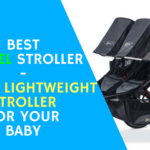 Comparing with other stroller in the market it has mix characteristics to judge with lots of pros & very less cons. If you’re investing money which very affordable, then you expect durability & it is durable for long term. Give your baby a safe & joyful ride with “BOB Revolution CE Stroller” & make your ride memorable. 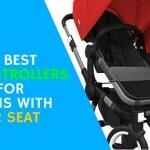 I hope you have liked this BOB Revolution CE Stroller Review article ..